Graffiti is a hassle that all business owners have to deal with at some point or another. Vandalism is just one of those unavoidable things that happens to businesses. Elevators, bathroom stalls, and metal signs look like excellent canvases to graffiti artists and careless individuals who have too much time on their hands. And unfortunately it only takes someone a quick second to whip a metal coin, marker, or pen out of their pocket and ruin your property permanently. Business owners are often left to deal with the consequences of these careless acts, costing them both time and money. It takes time to contact all the repair companies in the area to obtain an estimate. And then you have to go through the expense of either paying for the repairs or replacing the item, both of which usually add up to numbers that don’t look very friendly on paper. Installing anti graffiti window film for your Kansas City property can help you avoid all this hassle and expense. 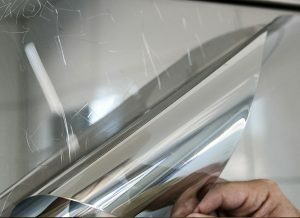 By using anti graffiti films, you can quickly and affordably tackle your metal restoration projects and get your property back to looking as beautiful as it did before it was vandalized. There are a few different ways you can go about trying to prevent your property from being vandalized. You can install cameras. You can hire security staff. Or you can post security or surveillance signs. However, none of these options actually stop someone from doing the deed and going to town on your property when no one is looking. And by the time you check the tapes, the villain will be long gone. Installing anti graffiti film can help protect your Kansas City property from vandalism and actually stop the act from occurring. Anti graffiti films are thick films that look just like metal that can be installed on elevators, bathroom doors, rails, and other metal surfaces. 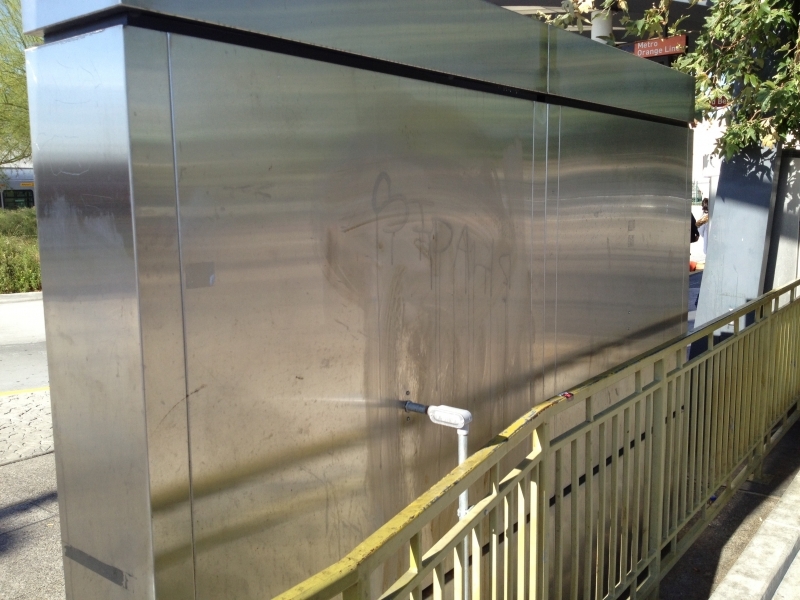 They protect surfaces from vandalism by taking on the damage themselves, keeping the area beneath graffiti film. Once they are scratched, marked, or worn down, they can be peeled off and replaced. 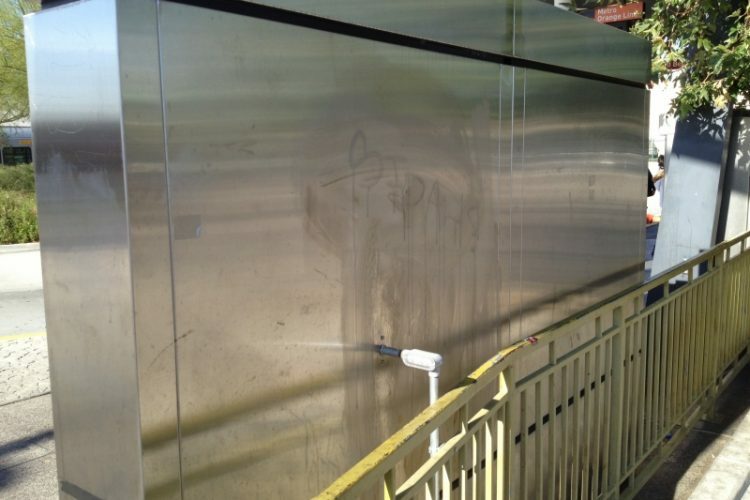 Wherever you have had troubles with graffiti or foresee vandalism being an issue, you can install anti graffiti film to put your mind at ease and keep money in your pocket! Find out today how affordable your metal restoration project can be with window film. Call Green Light Window Films in Kansas City to receive an estimate on anti graffiti window film.